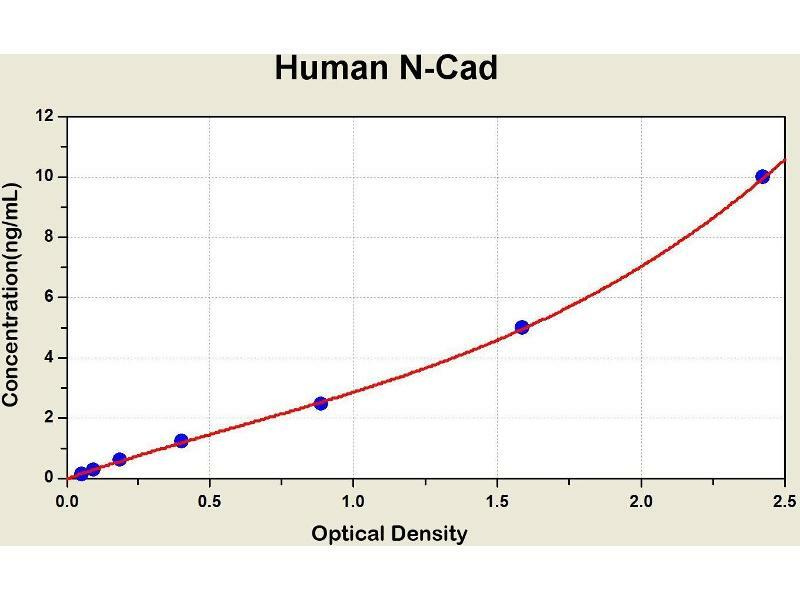 Diagramm of the ELISA kit to detect Human N-Cadwith the optical density on the x-axis and the concentration on the y-axis. 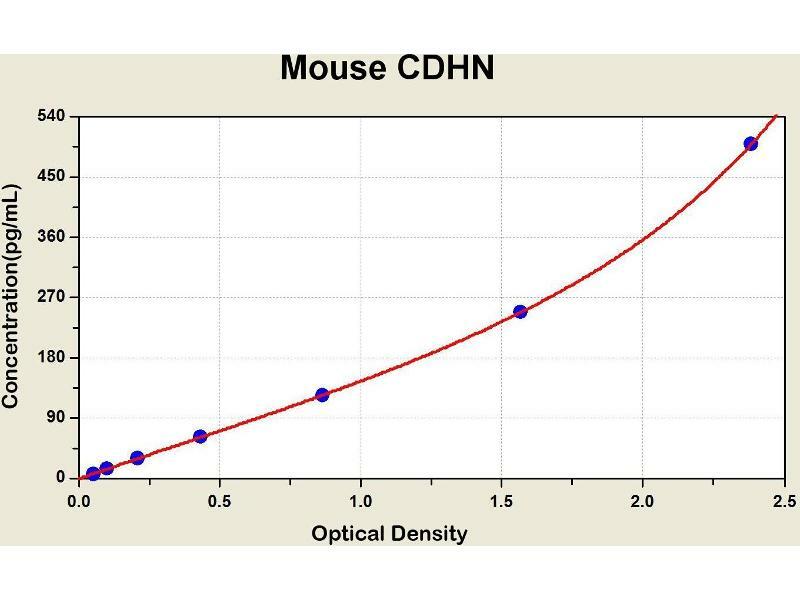 Diagramm of the ELISA kit to detect Mouse CDHNwith the optical density on the x-axis and the concentration on the y-axis. 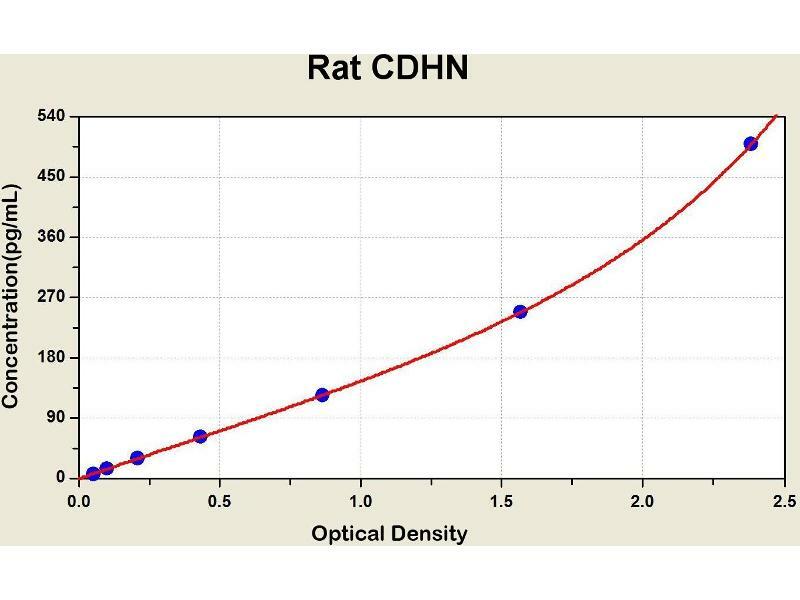 Diagramm of the ELISA kit to detect Rat CDHNwith the optical density on the x-axis and the concentration on the y-axis. 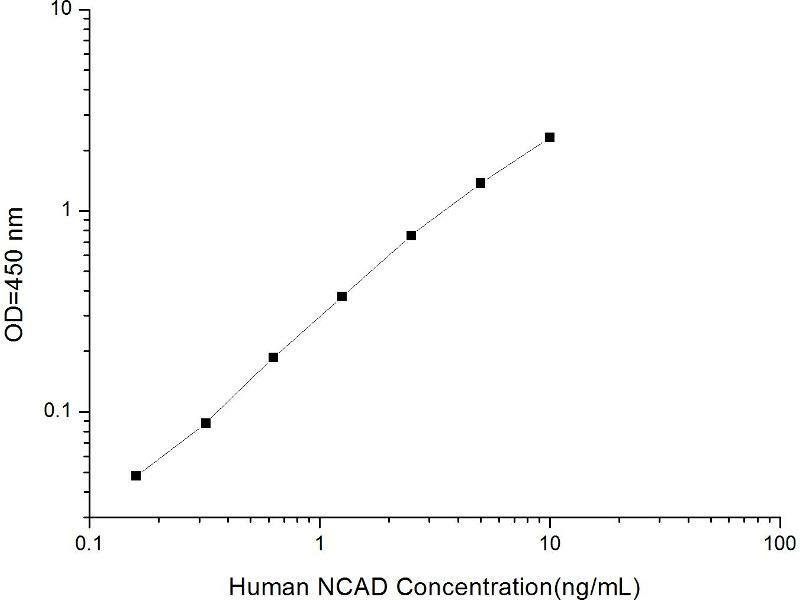 This gene is a classical cadherin from the cadherin superfamily. The encoded protein is a calcium dependent cell-cell adhesion glycoprotein comprised of five extracellular cadherin repeats, a transmembrane region and a highly conserved cytoplasmic tail. The protein functions during gastrulation and is required for establishment of left-right asymmetry. 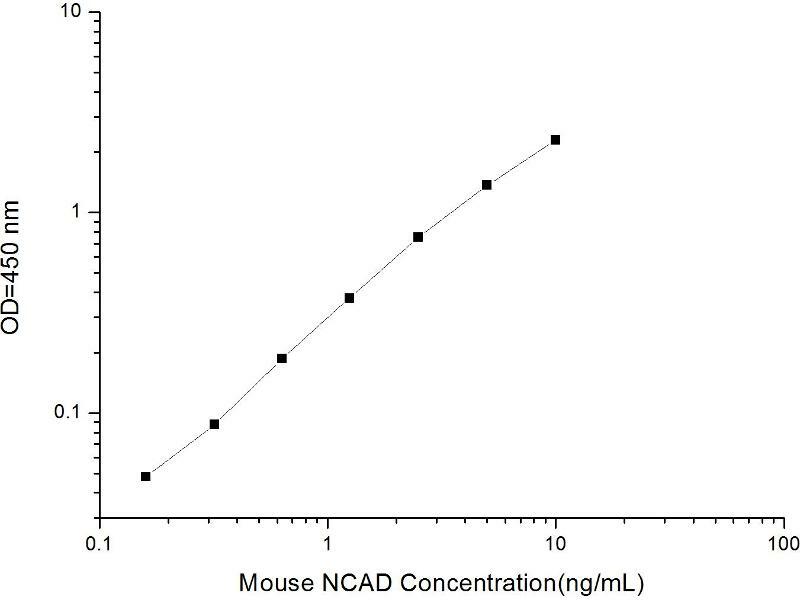 At certain central nervous system synapses, presynaptic to postsynaptic adhesion is mediated at least in part by this gene product.